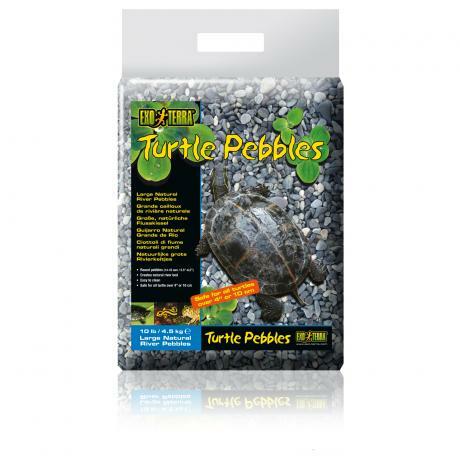 Exo Terra Small Turtle Pebbles (8-10mm) – ideal for turtles with a shell diameter of 10cm (4 inches) or less. 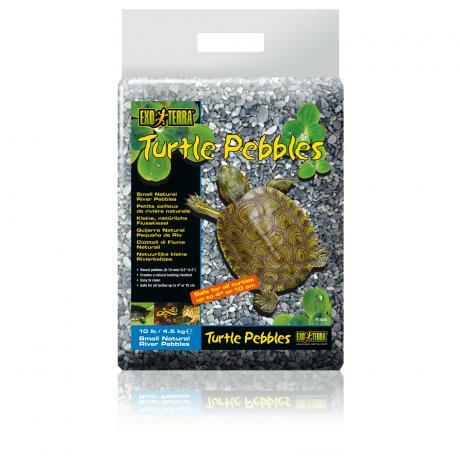 Exo Terra Large Turtle Pebbles (14-16mm) - for turtles with a shell diameter greater than 4cm (10 inches). Cleaning is easy; simply soak in a mild disinfect solution for 15 minutes, then rinse until all of the visible particles are removed and the water runs clean.